Spilfyter 570001 Chemical Classifier StripsSpilfyter Chemical Classifier Strips,Item # 570001, Classifier Strips quickly assist the responder in classifying the spill for proper treatment. 1 Ea. 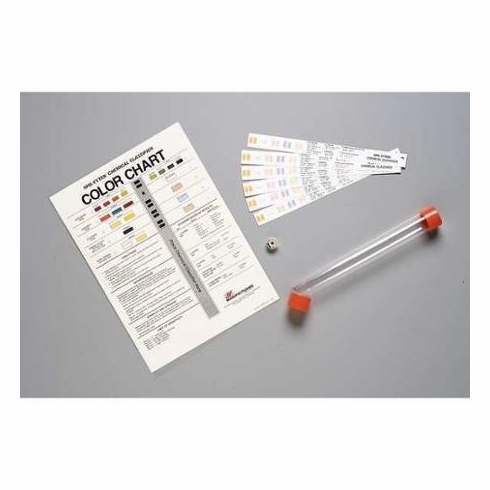 Laminated Chemical Classifier Chart Each for $68.10. The First Step in Spill Control: IDENTIFY THE SPILL–Chemical and Wastewater Classifier Products are the perfect method for distinguishing risks in unknown spilled liquids. Classifier Strips quickly assist the responder in classifying the spill for proper treatment. Recommended for all Emergency Response Teams. (SHELF LlFE OF 2 YEARS FROM MFG. DATE ON LABEL). Ideal for trained personnel who respond to unknown liquid spill on a regular basis.